The UNIPJ-4025W series Ф400mm horizontal profile projector is a photoelectric measuring system of high precision and efficiency. This series of optical profile projector is widely used in varies of industries such as mechanism, molding, tool, electronics and light industry. 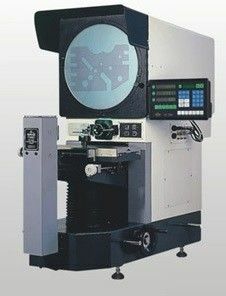 This series horizontal profile projector is a powerful measuring tool in the quality control department and machining department of the complicated work-pieces, such as template, cam, tread, gear, milling cutter and so on. able to be used to collect data and measure the point,line,circle,angle and distance. Surface light: 21V/150W, illuminated by two fibers, cooling by fans.